El libro de Bernardo Atxaga Zazpi etxe Frantzian, ha sido traducido al inglés por Margaret Jull Costa, y The Independent publica una crítica extraordinaria sobre este trabajo del escritor vasco, al que se califica como uno de los mejores novelistas de Europa. No es de extrañar que la capacidad y brillantez de este escritor levante las envidias, camufladas de lecciones morales, en algún que otro escritor. No vamos a decir más, les dejamos la referencia del artículo de The Independent. Until now, Bernardo Atxaga’s novels and stories, from Obabakoak in 1989 to The Accordionist’s Son in 2003, have all dealt with the contemporary history of the Basque Country: its emigration and conflicts. The best-known Basque writer, Atxaga has often expressed frustration at being typecast. Here, in his latest novel, he breaks radically with this subject-matter, though it was written in the Basque language, Euskera, Atxaga’s native tongue spoken by no more than a million people. 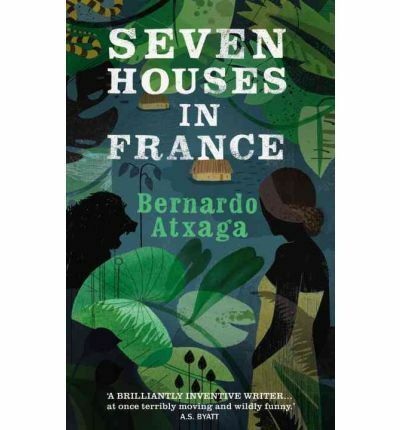 Seven houses in France is set in the Congo in 1903-1904. Atxaga takes it for granted that Belgian imperialism was criminally responsible for this Heart of Darkness. Against this background, his main interest is to explore the feelings and behaviour of the group of white officers confined in the Yangambi garrison.